As well as explaining different methods of construction for each gift, she suggests sympathetic wording and describes how to invoke the blessing of the appropriate angel. The scrolls can be drawn in attractive calligraphy or typed in unusual and striking fonts; they can be made with aromatic oils or with herbs or crystals. Although the original blessing scrolls were hidden, these beautiful artefacts can be displayed for all to admire … and they will still create a powerful conduit for angelic benefaction. 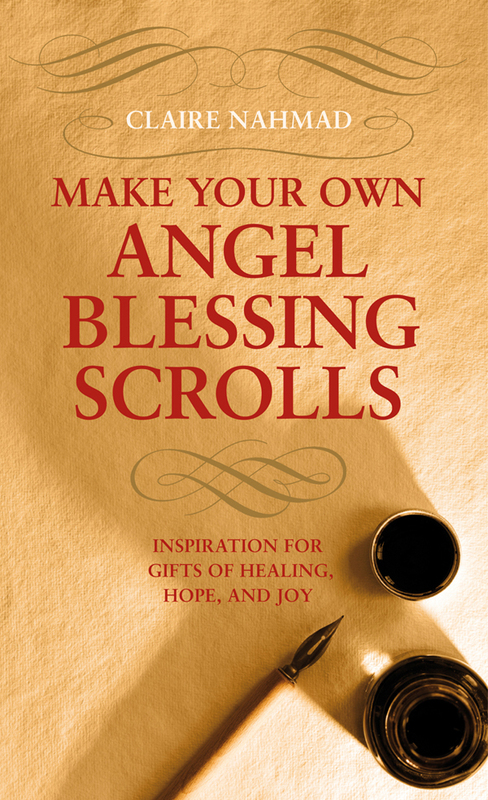 Historically, Angel Blessing Scrolls were runes (charms) or prayers, inscribed by the ancient Celts, initially on leaves, scraps of animal skin, wood and stones, and later on small rolls of parchment and pieces of paper. They were prepared at certain tides of the moon and at special hours of the day presided over by particular archangels and spirits. Then, accompanied by a simple ceremony, they were secreted in a hidden place within the walls or floors of a building or a niche in a garden or a tree. The idea was that the charmed prayers would be taken into Anwyn (the Celtic Otherworld) to provide a connection between the inner and outer realms. Benign influences would then pour through this secret and mystic gateway, enfolding the place and/or person for whom it was created in angelic protection, healing and blessing.